Stevie Nicks made history at the Barclays Center in New York on March 29 by becoming the first woman inducted twice into the Rock And Roll hall Of Fame. “Bella Donna” topped the US Billboard 200, produced a pair of US Top 10 hits (“Stop Draggin’ My Heart Around” and “Leather And Lace”), and went on to sell more than 4 million copies in the country. 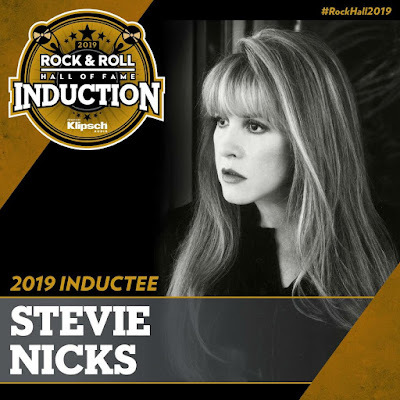 In sync with the Rock Hall induction, Nicks has just released the first of two career retrospectives – the single disc “Stand Back” – while an expanded 3-disc, 50-song version entitled “Stand Back: 1981-2017” will surface on April 19. Nicks and Fleetwood Mac are currently playing dates on a North American tour that will wrap up in Calgary, AB on April 15.